The 31st World Youth Day in Krakow, Poland is over. In the Final Mass on July 31, 2016, at the Campus Misericordiae (Field of Mercy) in Brzegi, near Wieliczka salt mine, presided by Pope Francis participated more than 2.5 million people from 187 countries. They were accompanied by 47 cardinals, 800 bishops and 20,000 priests. The main celebration was preceded by a Prayer Vigil and Adoration of the Blessed Sacrament on July 30, 2016. Over a million young people camped out here overnight. Many spent the whole night in prayer. The final liturgy included a reflection on a reading from the Gospel of Luke on Zacchaeus’ conversion: the short and wealthy publican who was hated by everyone in the city of Jericho, climbs up onto a tree to watch Jesus passing by and to his surprise, is invited by the Nazarene to come down. Jesus invites himself to the publican’s house, which gets everyone talking, shocked as they are at his decision to visit the home of a sinner. In his homily, Francis spoke of three obstacles Zacchaeus had to face. The first was his smallness of stature. “Even today we can risk not getting close to Jesus because we don’t feel big enough, because we don’t think ourselves worthy. This is a great temptation; it has to do not only with self-esteem, but with faith itself.” Because, the Pope recalled, “we have been created in God’s own image; Jesus has taken upon himself our humanity and his heart will never be separated from us”. “Not to accept ourselves, to live glumly, to be negative, means not to recognize our deepest identity. It is like walking away when God wants to look at me, trying to spoil his dream for me. God loves us the way we are, and no sin, fault or mistake of ours makes him change his mind.” As far as Jesus is concerned, “no one is unworthy of, or far from, his thoughts. No one is insignificant. He loves all of us with a special love; for him all of us are important” and “God counts on you for what you are, not for what you possess. In his eyes the clothes you wear or the kind of cell phone you use are of absolutely no concern. He doesn’t care whether you are stylish or not; he cares about you! In his eyes, you are precious, and your value is inestimable”. The Pope encouraged young people not to give up in the face of “closed-mindedness” but to “seek goodness for its own sake, content to maintain a pure heart and to fight peaceably for honesty and justice. Don’t stop at the surface of things; distrust the worldly cult of appearances, cosmetic attempts to improve our looks. Instead, “download” the best “link” of all, that of a heart which sees and transmits goodness without growing weary.” And he asked that “in all the “contacts” and “chats” of each day, pride of place be given to the golden thread of prayer,” using the Gospel as a “compass”. On July 29, 2016, the SCJ pilgrims as usual started the day with morning prayers and the Eucharist, which was followed by visit of the Shrine at Skałka, sharing of experiences, youth festival and Way of the Cross with the Holy Father in the afternoon. Skałka, which means “a small rock” in Polish, is a small outcrop in Kraków where the Bishop of Kraków Saint Stanislaus of Szczepanów was slain by order of Polish king Bolesław II the Bold in 1079. This action resulted in the king’s exile and the eventual canonization of the slain bishop. Originally, a Romanesque church was built there. King Casimir III raised a new Gothic church in its place and since 1472 this shrine has been in the possession of a monastic community of Pauline Fathers. In 1733-1751 the church received a baroque decor. It is one of the most famous Polish sanctuaries. The crypt underneath the church serves as a “National Pantheon”, a burial place for some of the most distinguished Poles, particularly those who lived in Kraków. Address to the young people of World Youth Day, after praying a presentation of the Way of the Cross linked to the spiritual and corporal works of mercy. On July 28, 2016, the Philippine delegation visited the “Have No Fear!” Centre of John Paul II and Divine Mercy Shrine in Łagiewniki, Kraków. The long time private secretary of Pope John Paul II, Cardinal Stanisław Dziwisz, put forward a proposal to build a center to commemorate the Holy Father. The idea was to create a place of prayer, education and voluntary service, a place for meetings and exchanging views. The construction started in 2008 and has included: Saint John Paull II Sanctuary, John Paul II Institute, a volunteer center, a hotel and a pilgrim’s guest house, a retreat center, an amphitheater, outdoor Stations of the Cross, a rehabilitation center, a meditation and recreation park and other facilities. The Sanctuary is a truly unique place. It is located on two levels. The upper part is formed by the main church, while the lower part houses by the Relic Church, surrounded by numerous thematic chapels. Among the relics and mementos of Saint John Paul II there are e.g. : an ampule with the Pope’s blood placed in a marble altar, a papal pastoral cross, papal chasuble and the cross in front of which Saint John Paul II prayed during his last Way of the Cross in the Roman Colosseum. It is worth noting that the Centre is located in Krakow (Cracow), between Łagiewniki and Borek Fałęcki, in the place of the old Solvay plants, in which Karol Wojtyła used to work during World War II as a factory worker. The Sanctuary of Divine Mercy is situated in buildings of monastery of the Congregation of the Sisters of Our Lady of Mercy, which was founded in 1891 as A. Lubomirski’s Foundation for girls and women in need of moral renewal. In period between world wars in this Monastery lived and died Saint M. Faustina Kowalska (1905-1938), through Saint Faustina Lord Christ gave the message of the Divine Mercy to the Church and to the whole world. 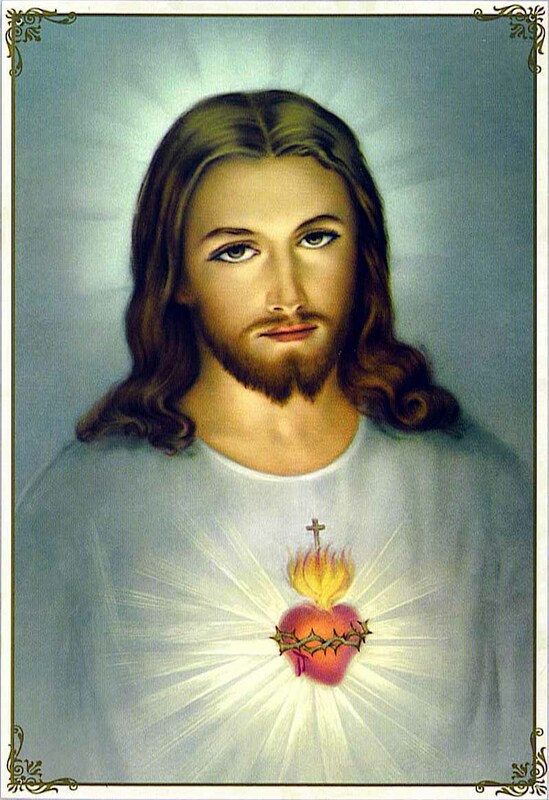 It sheds light on the mystery of the Divine Mercy, calls to put trust in God and have merciful attitude towards neighbors and also to proclaim and pray for Divine Mercy for whole world through practicing new forms of worship of the Divine Mercy (the Divine Mercy Image, the Divine Mercy Sunday, the Chaplet of Divine Mercy and the Hour of Mercy). In 1943 Father J. Andrasz SI the Cracow confessor of Faustina blessed the first Divine Mercy Image painted by A. Hyła, offered as ex-voto, thanksgiving to God for saving his family during war, and initiated solemn masses honoring the Divine Mercy. The image quickly became well-know for many graces, the number of pilgrims has grown each year, considering also the pilgrims visiting the Sister Faustina’s tomb. Very dynamic expansion of worship of the Divine Mercy was launched by the beatification of Sister’s Faustina (18th of April 1993) and her canonisation (30th of April 2000), and also thanks to pilgrimages of John Paul II to Łagiewniki (1997 and 2002). It caused the extension of the Sanctuary i.a. building a new church – basilica, that was consecrated on 17th of August 2002 by Pope John Paul II in 2002. In this place Pope solemnly entrusted the world to the Divine Mercy. In the afternoon, the Dehonian group from the Philippines, together with other pilgrims, joined the first official encounter with the Holy Father, at a ceremony in Błonia, Kraków. At last we are together! Thank you for your warm welcome! I thank Cardinal Dziwisz, the bishops, priests, men and women religious, the seminarians and those who have accompanied you. I am also grateful to all those who made it possible for us to be here today, who “went the extra mile” so that we could celebrate our faith. In this, the land of his birth, I especially want to thank Saint John Paul II, who first came up with the idea of these meetings and gave them such momentum. From his place in heaven, he is with us and he sees all of you: so many young people from such a variety of nations, cultures and languages but with one aim, that of rejoicing that Jesus is living in our midst. To say that Jesus is alive means to rekindle our enthusiasm in following him, to renew our passionate desire to be his disciples. What better opportunity to renew our friendship with Jesus than by building friendships among yourselves! What better way to build our friendship with Jesus than by sharing him with others! What better way to experience the contagious joy of the Gospel than by striving to bring the Good News to all kinds of painful and difficult situations! Jesus called us to this Thirty-first World Youth Day. Jesus tells us: “Blessed are the merciful, for they shall find mercy (Mt 5:7). Blessed indeed are they who can forgive, who show heartfelt compassion, who are capable of offering the very best of themselves to others. Dear young people, in these days Poland is in a festive mood; in these days Poland wants to be the ever-youthful face of mercy. From this land, with you and all those young people who cannot be present today yet join us through the various communications media, we are going to make this World Youth Day an authentic Jubilee celebration. In my years as a bishop, I have learned one thing. Nothing is more beautiful than seeing the enthusiasm, dedication, zeal and energy with which so many young people live their lives. When Jesus touches a young person’s heart, he or she becomes capable of truly great things. It is exciting to listen to you share your dreams, your questions and your impatience with those who say that things cannot change. For me, it is a gift of God to see so many of you, with all your questions, trying to make a difference. It is beautiful and heartwarming to see all that restlessness! Today the Church looks to you and wants to learn from you, to be reassured that the Father’s Mercy has an ever-youthful face, and constantly invites us to be part of his Kingdom. Knowing your enthusiasm for mission, I repeat: mercy always has a youthful face! Because a merciful heart is motivated to move beyond its comfort zone. A merciful heart can go out and meet others; it is ready to embrace everyone. A merciful heart is able to be a place of refuge for those who are without a home or have lost their home; it is able to build a home and a family for those forced to emigrate; it knows the meaning of tenderness and compassion. A merciful heart can share its bread with the hungry and welcome refugees and migrants. To say the word “mercy” along with you is to speak of opportunity, future, commitment, trust, openness, hospitality, compassion and dreams. Let me tell you another thing I have learned over these years. It pains me to meet young people who seem to have opted for “early retirement”. I worry when I see young people who have “thrown in the towel” before the game has even begun, who are defeated even before they begin to play, who walk around glumly as if life has no meaning. Deep down, young people like this are bored… and boring! But it is also hard, and troubling, to see young people who waste their lives looking for thrills or a feeling of being alive by taking dark paths and in the end having to pay for it… and pay dearly. It is disturbing to see young people squandering some of the best years of their lives, wasting their energies running after peddlers of fond illusions (where I come from, we call them “vendors of smoke”), who rob you of what is best in you. We are gathered here to help one another other, because we do not want to be robbed of the best of ourselves. We don’t to be robbed of our energy, our joy, our dreams by fond illusions. Jesus can give you true passion for life. Jesus can inspire us not to settle for less, but to give the very best of ourselves. Jesus challenges us, spurs us on and helps us keep trying whenever we are tempted to give up. Jesus pushes us to keep our sights high and to dream of great things. In the Gospel, we heard how Jesus, on his way to Jerusalem, stopped at a home – the home of Martha, Mary and Lazarus – and was welcomed. He stopped, went in and spent time with them. The two women welcomed him because they knew he was open and attentive. Our many jobs and responsibilities can make us a bit like Martha: busy, scattered, constantly running from place to place… but we can also be like Mary: whenever we see a beautiful landscape, or look at a video from a friend on our cellphone, we can stop and think, stop and listen… In these days, Jesus wants to stop and enter our home. He will look at us hurrying about with all our concerns, as he did with Martha… and he will wait for us to listen to him, like Mary, to make space for him amid the bustle. May these be days given over to Jesus and to listening to one another. May they help us welcome Jesus in all those with whom we share our homes, our neighborhoods, our groups and our schools. Whoever welcomes Jesus, learns to love as Jesus does. So he asks us if we want a full life: Do you want a complete life? Start by letting yourself be open and attentive! Because happiness is sown and blossoms in mercy. That is his answer, his offer, his challenge, his adventure: mercy. Mercy always has a youthful face. Like that of Mary of Bethany, who sat as a disciple at the feet of Jesus and joyfully listened to his words, since she knew that there she would find peace. Like that of Mary of Nazareth, whose daring “Yes” launched her on the adventure of mercy. All generations would call her blessed; to all of us she is the “Mother of Mercy”. All together, then, we ask the Lord: “Launch us on the adventure of mercy! Launch us on the adventure of building bridges and tearing down walls, barriers and barbed wire. Launch us on the adventure of helping the poor, those who feel lonely and abandoned, or no longer find meaning in their lives. Send us, like Mary of Bethany, to listen attentively to those we do not understand, those of other cultures and peoples, even those we are afraid of because we consider them a threat. Make us attentive to our elders, as Mary of Nazareth was to Elizabeth, in order to learn from their wisdom. Here we are, Lord! Send us to share your merciful love. We want to welcome you in our midst during this World Youth Day. We want to affirm that our lives are fulfilled when they are shaped by mercy, for that is the better part, and it will never be taken from us. More than 200,000 young people from around the world gathered in Blonia Park, Krakow on Tuesday, June 26, for the official Opening Mass of World Youth Day celebrated by Krakow Metropolitan Cardinal Stanislaw Dziwisz. The congregation included cardinals and bishops from all over the world. There was a 300-strong choir and orchestra. Just two hours before the Mass there had been a dramatic thunderstorm and heavy rain – but the skies cleared in time for the Mass. Cardinal Dziwisz welcomed everyone in six languages. Underlining that the WYD participants had traveled from many different places and spoke many different languages, the cardinal said that “from today we will speak to one another in the language of the Gospel … the language of brotherhood, solidarity and peace”. The liturgy was celebrated in Latin while the Gospel was read in Polish and Old Church Slavonic. The Fire of Mercy, brought to the site from the Shrine of Divine Mercy in Krakow-Lagiewniki, will burn at all the central celebrations of WYD. At the end of the event Pope Francis will hand it over to representatives of five continents. There was spontaneous applause at the end of the Mass. A number of musicians and singers performed after the Mass – among them a folk group from Zakopane. Cardinal Dziwisz’s welcome to World Youth Day pilgrims had a stirring reminder: it is up to them to ensure that the Gospel of Jesus Christ reaches the world. “Carry the flame of your faith and ignite with it other flames, so that human hearts will beat to the rhythm of the Heart of Christ, which is ‘a flaming fire of love’,” Cardinal Dziwisz, the Archbishop of Krakow, said in his homily for the July 26 opening Mass of World Youth Day at the city’s Blonia Park. Hundreds of thousands of pilgrims, including Pope Francis, are expected in Krakow for the global gathering of Catholic youth. St. John Paul II was archbishop of the city before becoming Pope in 1978. The cardinal served as a close aide to the Pope. Cardinal Dziwisz reflected on what brought all the World Youth Day pilgrims together. “We are all here because Christ has gathered us. He is the light of the world,” he said. The cardinal urged the faithful to listen – and respond – to Christ’s questions about love, as he asked St. Peter after the Resurrection. “Let us share our faith, our experiences, our hopes. My dear young friends, may these days be an opportunity to form your hearts and minds,” he said. He encouraged them to listen to bishops’ catecheses and to Pope Francis, and to participate in the liturgy wholeheartedly. “Experience the merciful love of the Lord in the sacrament of reconciliation. Discover also the churches of Krakow, the wealth of the culture of this city, as well as the hospitality of its inhabitants and of those of neighboring towns, where we will find rest after a day’s rigors,” he urged. “Krakow is alive with the mystery of Divine Mercy,” he said, referring to the visions and devotion of St. Faustina Kowalska, which were popularized by St. John Paul II. “Carry the good news about Jesus Christ to the world,” his homily concluded.